I am going to make a confession that is going to have anyone who was already in the fan club thinking I am a little bit of an idiot. Until this week I hadn’t actually watched any of Anthony Bourdain’s television shows, and even worse, I hadn’t read a single one of his books. I have owned Kitchen Confidential for probably ten years, and unfortunately I never plowed through enough of my book backlog to actually get to it. Some nights I sit there and I don’t want to watch another typical Hollywood movie where the guy gets the girl and then the guy loses the girl, and then the guy gets the girl back. If it’s sci-fi you can substitute the girl for some deus ex-machina device. And sometimes I don’t want to watch depressing art house indie efforts. Some days what I want to do is learn about something and feel good about people and the achievements of mankind. So, messed up as the reason is for it, Anthony Bourdain: Parts Unknown is trending on Netflix, so the show, which I had sitting there in my to watch list suddenly leapt out at me. How did I miss this? This my kind of thing – learning about food and culture, delivered by someone who is accessible, and engaged with his subjects, rather than observing them like they were bugs in a jar. It feels genuine, and not staged – because it isn’t. The first episode was set in Myanmar, and I believe that Bourdain and his crew were one of the first Western crews to be allowed to film in the country, and even if it was in the tourist triangle as he dubbed it, it was not an insignificant thing. To humanize the people of Libya and to show that they have a thriving culture and that they have bounced back from years under Gadaffi is huge. Each episode showed human innovation and resilience. Seeing people who live in the West Bank and on the Gaza Strip living their lives and feeding their families, and freed from the abstracts that can drown these personal stories is an amazing thing. All of the food looked interesting and great tasting, and it was interesting to see it as a channel through which the history of a people is transmitted. Bourdain takes you into the heart of the Congo and he shows you that what you know of the Congo is a mirage, and that the people there are as smart and full of hope and ingenuity as people anywhere. His interest and care for people and the stories they have really is something to emulate. The interesting thing for me is that a show that on the surface might be seen as a vehicle for perpetuating the fame of the person whose name adorns the show is nothing of the sort. These shows are a very unselfish piece of documentary where the places and the people are the stars, and you need no flash or spectacle to make the stories compelling. Learning about people and how different parts of the world are put together, and how that is reflected in the cuisine, is learning something about yourself too. Some will dismiss the value of nostalgia, not seeing that often it is the tendency that people have to celebrate the beauty of the humanity that they are witnessing, and how that reminds them of the beauty and humanity in themselves. 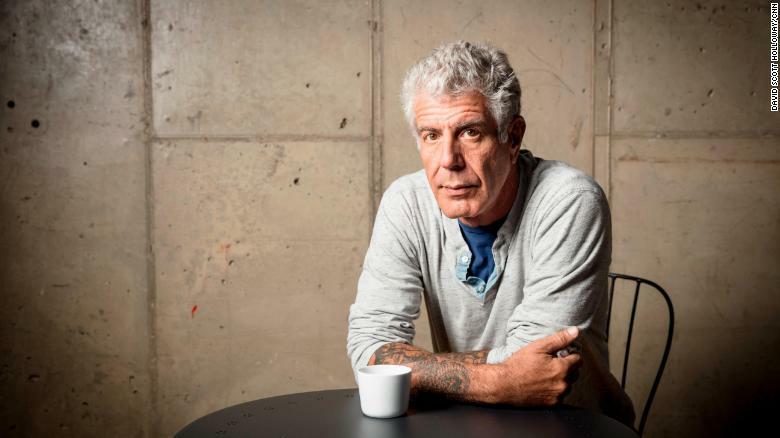 If you read the eulogies you can see that Bourdain connected with people who watched and read him for the same reason that he connected and meant something to the people he talked to on camera – you could tell that he really cared about the food and the people and the countries that he was visiting and he wanted to communicate about them, and people like to be reminded that there are those out there who care in this way, and they want to listen to them. I wish I had really understood his value when he was alive, but his legacy really is a powerful and a human one. His interest and care for people and the stories they have really is something to emulate.